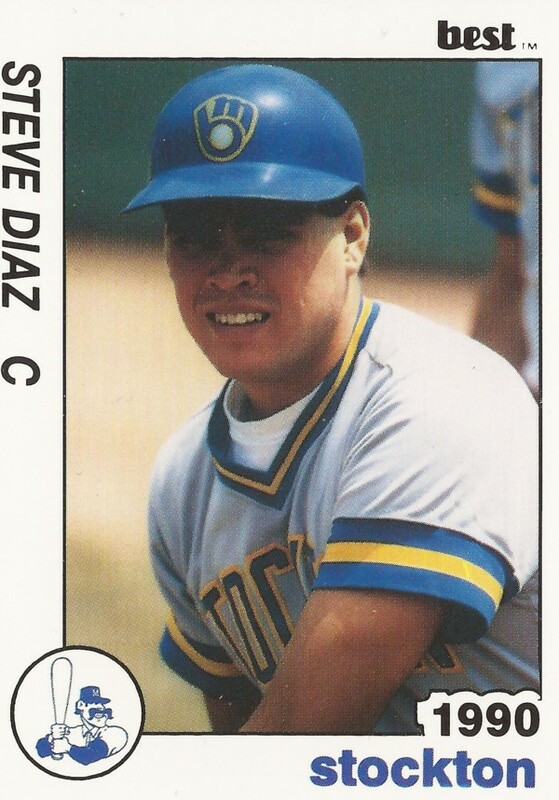 The life of a minor leaguer wasn't that glamorous, at least early in the day, Steve Diaz told The Los Angeles Times in June 1990. The Times visited Diaz' Stockton Ports for a feature on minor league life. Diaz told of the impact game nights had on mornings. "Not much goes on," Diaz told The Times, "especially when you sleep till noon every day." Diaz' minor league life began two years earlier and lasted for four total seasons. He never made AA. 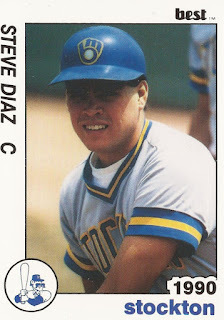 Diaz' career began in 1988, signed by the Brewers as a free agent out of Cuesta College in California. He is listed by the school among nine 1988 players who went on to larger schools or to the pros. Four of those, including Diaz, went on to the pros. Diaz started with the Brewers in the rookie Arizona League. The catcher got into 27 games and hit .272. He moved to single-A Beloit for 1989. His season ended up being limited. He saw time in just 15 games and hit .172. For 1990, he moved to high-A Stockton for 12 games. He also saw 25 games back in the Arizona League. His final professional time came in 1991, back at Beloit. In 30 games there, he hit .216, ending his career. Diaz has since returned home to California. He's listed in 2015 as a coach for the 12U Central Coast Cubs. He's also spent time as a Little League coach.